After returning from a holiday I was hit with feedback requests from the travel agent, the airline and all three of the hotels that we stayed in. All of them were perfunctory; demanding a response within a limited time, one of them was intrusive; a text message, and every single one of them conveyed absolutely no sense of gratitude or personal benefit for me if I filled them out. So I didn’t. The other day I got an email from a grocery store asking me to rate how satisfied I was with the six eggs that they had delivered to me. Both on the quality of service I received and the quality of the eggs themselves. Were they good eggs? The eggs were fine. They were eggs. But I am starting to suspect that we might have hit a point of diminishing returns with Customer Satisfaction Surveys. It is understandable that we’ve reached this point, as the implementers of these tools are often data focused rather than customer facing, but that doesn’t excuse it. 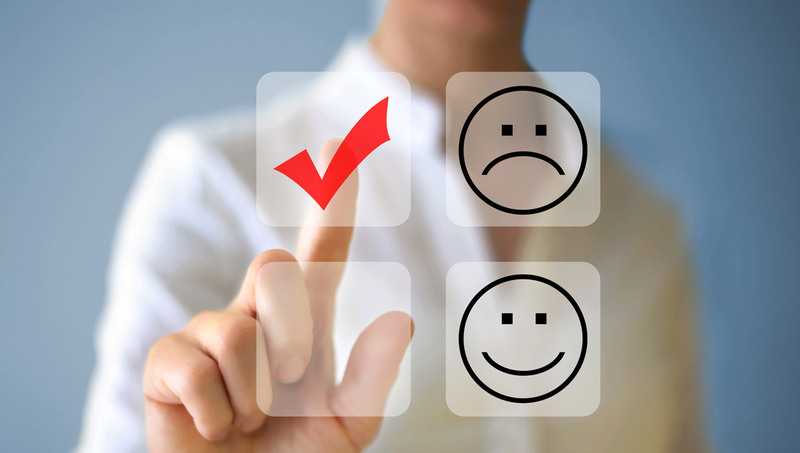 The satisfaction questionnaire may be the final touchpoint with an organization. Making this experience a bad one is not a good plan for customer retention. Unless a worldwide consensus to stop abusing the questionnaire can be reached, there is very little that can be done to prevent this decline, but as an individual organization, there are a few possible remedies. All of which start with reforming your attitude towards CSAT or similar surveys. Stop treating customers as a free data source for process improvement! Complete the loop when feedback is provided. Even a simple follow up to say thanks or indicate that the feedback has been taken on board would be enough incentive in some cases. If they are seething with anger and using the questionnaire to flag a problem, contact them and fix it.If you don’t, then the questionanaire is only going to frustrate them further. Acknowledge customer effort in contributing to your process improvement by paying for it. Entering respondents in a prize or cash draw doesn’t have to cost a lot and it is sending a clear signal that you value their input. Make the customers feel good about responding. It can feel like responses are going into a black hole, so there is little sense of benefit. A generic statement about valuing customers and improving customer service really is not enough. Why not give them an example or two of changes you’ve made as a result of customer feedback? Do not tell customers about your survey timelines. They don’t need to know the survey will only be open another 5 days. Telling them that is putting implicit pressure on them, which you should be very careful about doing. It may produce a small uptick in your response rates, but many others are being offended by your demanding tone. Think hard before using intrusive mechanisms such as SMS or automated calls. They are potential irritants. Be careful about when you send these out for this same reason. Keep your feedback questionnaires short and punchy. Fight hard against requests to add additional questions. Each extra question carries a cost to your customer relationship. Consider introducing complementary mechanisms to determine the customer’s satisfaction levels and emotional state at different points in their journey without putting the burden on them to give you that feedback. Assess the emotions on their face at the point of contact using facial scanning, or have your staff provide feedback on their perception of the emotional qualities of an interaction before they can move on. The most important solution is to perform insight driven research alongside any form of direct data collection to include information that may not be captured in a survey, and to filter all the data points that you have collected in a constructive way. It is only through analysis that data gains value. The NPS and CSAT questionnaires were an absolute gift to Design Thinking advocates, a way to demonstrate the success and value of their initiatives to those in power and to collect valuable feedback from users. It is truly unfortunate that they have been reduced to their current state; badgering people about their eggs. It isn’t like customer experience is going to be forgotten overnight, we are just going to have to get a little bit smarter, and a lot more precise, about how we collect the information we need to improve.